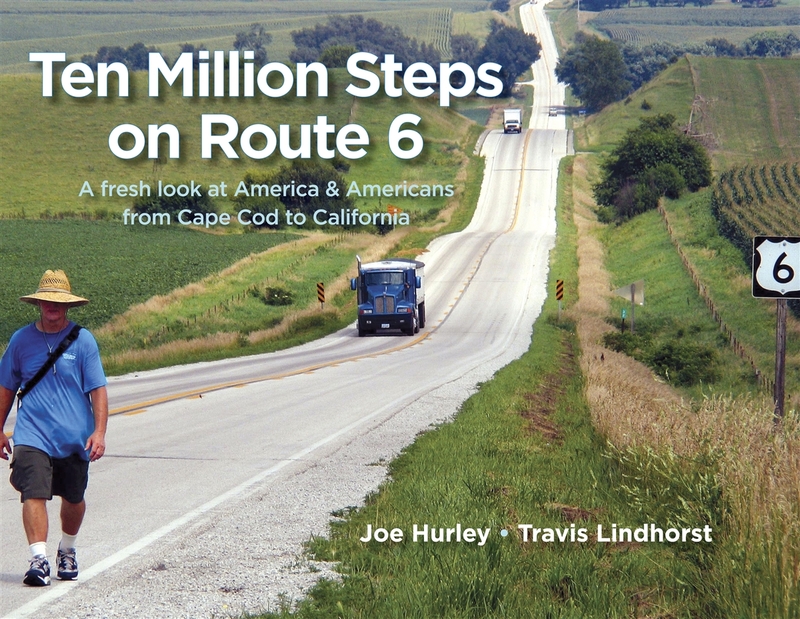 Ten Million Steps is the story of one man's coast-to-coast walk across America – and the story of America, itself, at the start of the 21st Century. Route 6 is the 3,600-mile backdrop for hundreds of stories and pictures that will take you on that journey alongside Joe Hurley. Together, you'll meet coal miners, farmers, banjo players, cowboys, country folk and city workers. They are the current generation of the extraordinary ordinary people who built this nation. This is the face America sees when it looks in the mirror. You'll also see ducks that walk on fish, menacing cows, women in hard hats, a grand mirage and the bravest little car in the world. But mostly, you'll savor the places you can't find in the fast lane. You can visit Cape Cod a thousand times, but you won't understand the cape until you travel its back roads in winter. You can drive through Glenwood Canyon on I-70, but you won't experience it until you walk along the path next to the Colorado River, deep inside the canyon walls. In Ten Million Steps, Joe Hurley takes us with him every step of the way, from Cape Cod to California. He paints a tapestry of places we may never visit and introduces us to a spectrum of Americans we may never be lucky enough to meet. Through it all, Hurley entertains and educates us with the wit and insight that made him a popular, respected newspaperman in Connecticut for more than three decades. And when the last page has been turned, and we have experienced the richness and diversity of America, we can close our eyes and see and feel the country and its people as if we had walked every step of the way with Joe Hurley.